Girl with a Pen and a Dream: Interview with Mandi Lynn ~ Author of Essence! Check out my author website. Amanda has read 1 book toward her goal of 18 books. Re-Run: Happy Birthday Johnny Cade!! Copyright Amanda Leigh. All Rights Reserved. Powered by Blogger. 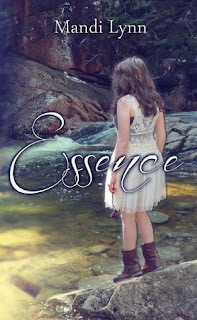 Interview with Mandi Lynn ~ Author of Essence! I recently found Mandi Lynn's videos on YouTube and began watching nearly every one of them. Through watching her videos I found out that she had self-published a young adult novel, Essence, while she was still in high school. I knew then that I really wanted to interview her. You all know that I self-published two poetry collections and that I always like to support self-published authors. 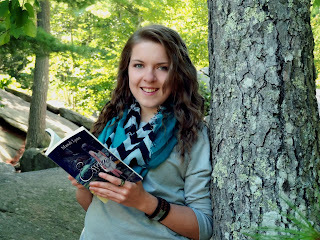 So, today, here is that interview with Mandi Lynn, teen author of Essence. Amanda Leigh: For those not familiar with your book, where did the idea for Essence come from? Mandi Lynn: Before I started writing Essence I had gone on vacation in New Hampshire and took a picture of this gorgeous basin/waterfall. A few months later I wanted to write a book and found the photo I had taken and decided to make a story out of the location. Amanda Leigh: At what point during writing it did you decide that you wanted to have it published? Mandi Lynn: I think I had always wanted to publish it. At first it was just a private project but by the time I finished the first draft I already had dreams of publishing it. Amanda Leigh: When you self-publish, you often have to do much of the marketing. Tell us about what it’s like to market your own book. What are some things that you do/did? Mandi Lynn: Marketing can be a nightmare or it can be really fun. It’s hard for me to market my book to people I’m talking to because I hate feeling like I’m trying to sell myself. But online it’s relatively easy to sell a book. I make my videos on YouTube and make sure everyone who watches knows I wrote a book. From there the book sells itself as long as it gets good reviews. Amanda Leigh: What is your favorite and least favorite part of marketing your own book? Mandi Lynn: My favorite part is just saying I wrote a book! I mean, how many teenagers can say that? My least favorite part is how marketing is something you constantly have to do in order to sell books, and I’ll admit I’m not the best at it, but I’m still learning. Amanda Leigh: What made you decide to self-publish Essence? Mandi Lynn: I decided to self-publish after writing to so many agents and hearing nothing. I thought my book was good, but no one else was telling me that because it never got the chance. So I took the big leap and made a huge risk by putting my book out there when I didn't even know if other people would like it. In the end it was well worth it. 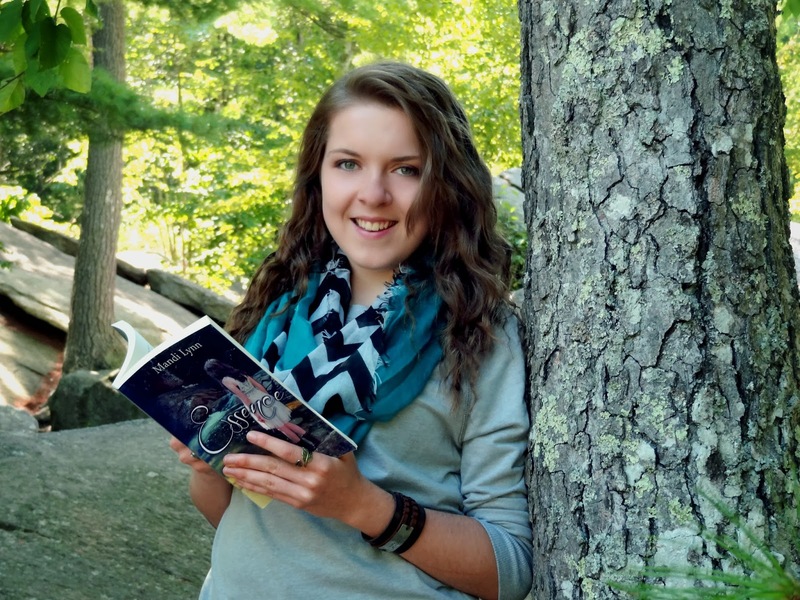 Amanda Leigh: What has the experience of self-publishing been like? Mandi Lynn: Self-publishing was never my first idea. For the longest time I wanted to traditionally publish my book but that never happened. As a self-published author I had to do all the work myself and it was a great learning experience, though not ideal. It can be frustrating at times to self-publish, but the rewards outrank everything else. Amanda Leigh: Have you worked on any other novels? Anything that you can tell us about? Mandi Lynn: I had been writing another novel but due to the fact that I’m in advanced classes in my senior year of high school and that I have a job, I've been unable to write much of anything this past year. I plan on writing again as soon as possible because it’s a part of me I miss dearly. Amanda Leigh: How long have you wanted to be an author? Mandi Lynn: I never planned on being an author. It wasn’t until about my 8th grade year that I even had an interest in reading. After I discovered the magic of books I wanted to write my own story, and here I am today, a published author. Amanda Leigh: Do you listen to music while you write or as inspiration for writing certain scenes et cetera? Mandi Lynn: I always listen to music! It’s what helps me get into the zone and zero in on the emotions I want to depict. Amanda Leigh: What are your future goals as an author? Mandi Lynn: I don’t know what the future holds for me right now. I was just recently accepted into my first choice college, but I’m not sure if I can see myself in school for another four years. I definitely want to write full time some day, but until then I’m taking things day by day and doing what is best for me. It starts with a shift in the atmosphere. The forest greets Emma with startling force. At first she can’t move her limbs. Then her vision is rendered useless. The sensation comes more often, and the symptoms become frightening as Emma is left paralyzed to the force that emerges from the forest. Voices come in dream at first, commanding against her will. Something is out there that calls Emma to the forest. It isn’t going to fade until she surrenders. Mandi Lynn is the young adult author of her debut novel, Essence. Beginning to write the story when she was only thirteen years old, after three and a half years of hard work, Essence was published and in print. To graduate in 2014, meanwhile Mandi goes to a vocational high school where she takes cosmetology alongside writing novels and doing regular schoolwork. Mandi can now be found on YouTube hosting YA Ink—a series of videos about writing and publishing—and sharing her journey as a writer. A big thank you to Mandi Lynn for joining me on the blog! Best of luck to you! I look forward to reading Essence and any future work! Happy 2014! What a great achievement! I've not heard of this author but you did a great job of the interview! 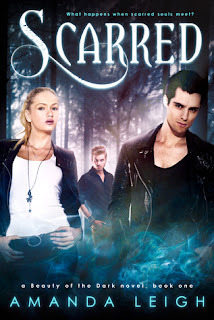 Scarred by Amanda Leigh (that's me) is LIVE!! The Journey of "My Heart is Yours"
2013 Review, Goals for 2014 and My Mantra! My Top Ten Books of 2013! First Book of the Year - 2014!